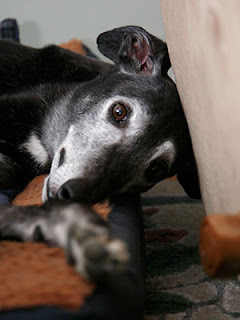 "On November 21, 2012, while transferring greyhounds to a different kennel it was reported to the Board of Stewards that DS Cyclone, a greyhound under your care, was in poor health." "The Board of Stewards find that you failed to provide sufficient and/or adequate veterinary care to DS Cyclone in a timely manner." How can you look into those soulful eyes and neglect that poor dog. I pray that trainer and owner suffer a death ten times worse !!! They are ALL being neglected by being racing dogs!!!!!!!! 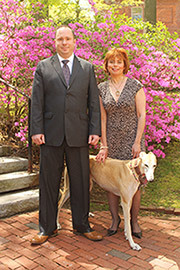 I am in full support to rid Greyhound racing everywhere... period. We only hear or made aware of "a fraction" of the reality of neglect, abuse and unreported violations! ENOUGH is ENOUGH! Greyhound racing is nothing more than blood money. To take advantage of these beautiful, gentle creatures and not give them medical treatment is just plain inhumane. I don't know how these trainers can sleep at night. hope the trainer suffers . he should be in prison on animal cruelty charges. these dogs are abused. they are loving and beautiful dogs. they make great family pets. I think that if there is a way to stop breeding these dogs, but that is wishfull thinking, anyway I feel that if enough people volunteer to take care of them, it will help. as long as the punishments are laughable, this kind of thing will continue. it is sick, and it encourages others to harm animals. they see that people like this will get almost no time, or just pay a fine, and understand that few people care enough to do anything about it. she isn't even criminally charged.